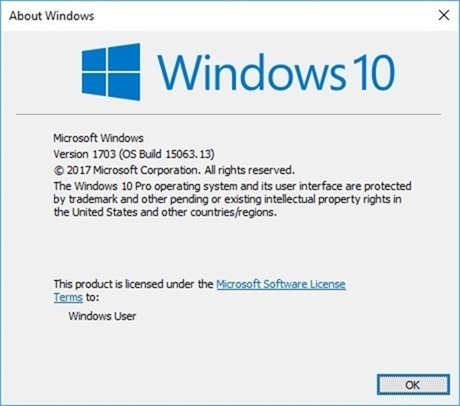 Microsoft has released the Windows 10 Creators Update, its first major update to the operating system, since the Windows 10 Anniversary Update, which was released back in August 2016. 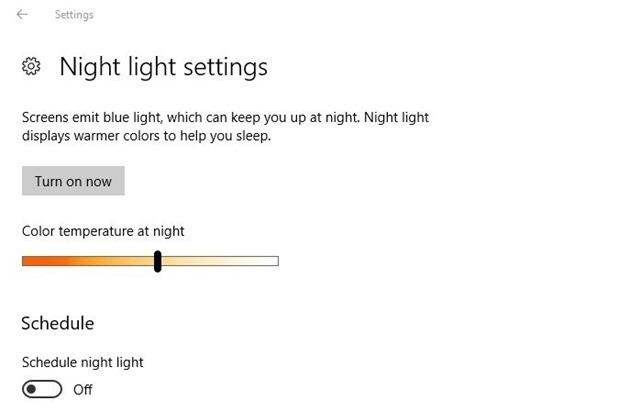 There are a few new features in it such as Nightlight which you can find under Settings > Display. It reduces the bluelight emitted by your display, to help you sleep better. There is a new Game mode available from Settings > Gaming, which allows the PC to reduce the memory usage of background tasks, to ensure you have a great gaming experience. 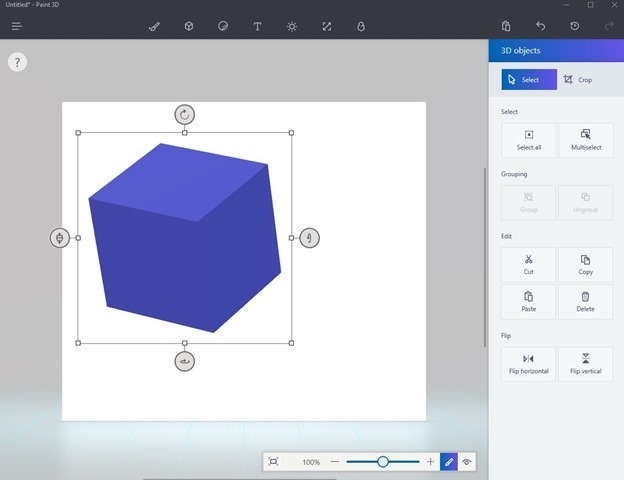 A new app called Paint 3D is available, which helps you draw and create three-dimensional models very easily. 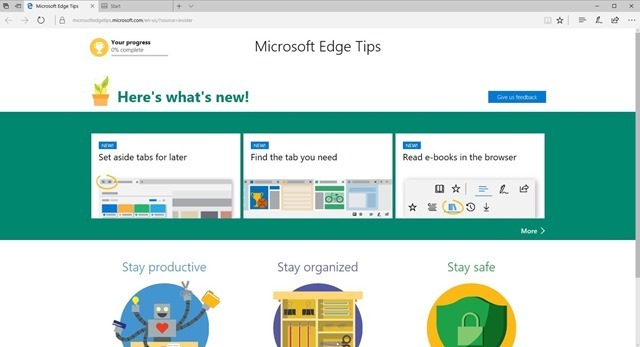 Microsoft Edge has a slew of new features now, inlcuding support for Set aside tabs for later, Find the tab you need with Tab Preview, Books hub with support for epub books, full-color emoji, etc. Now, Microsoft has not begun rolling out the Windows 10 Creators Update to all users just yet, The official rollout only begins on April 11th. But you can download it right now. But there is a catch. 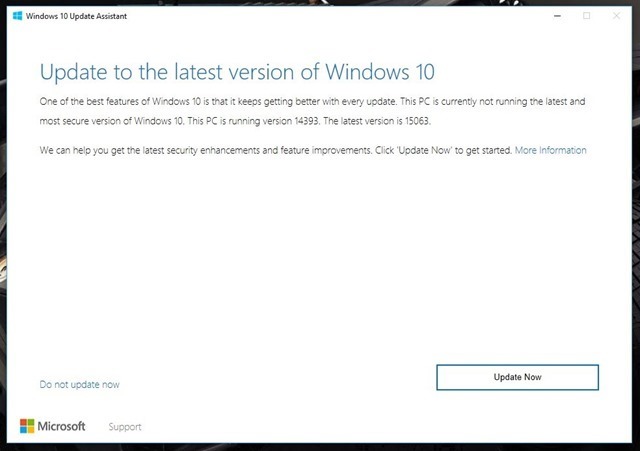 the PC has to be running an activated copy of the operating system, with the Windows 10 Anniversary Update installed on it. You can check if you have the correct version by pressing Windows + R, and typing in winver, and hitting enter. 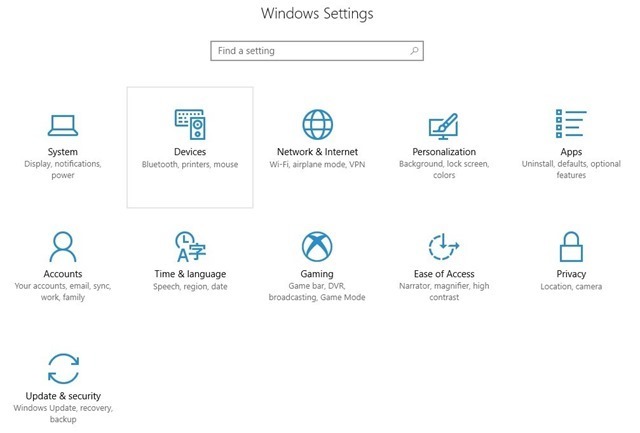 If it says Windows 10 1407 Build 14393, you have the Anniversary Update. 2. Run the downloaded application on the PC which you wish to upgrade. 3. Click on Update now, and it will download the update, and verify it. After which the installation will begin. How long does it take to install Windows 10 Creators Update? It depends on your PC’s processing power. If you have an i5 system like mine, it will be installed within 20 minutes. But the download is not speedy. Microsoft's servers were quite slow last night when the update was released, perhaps due to the fact that many enthusiastic users were downloading the update ASAP. 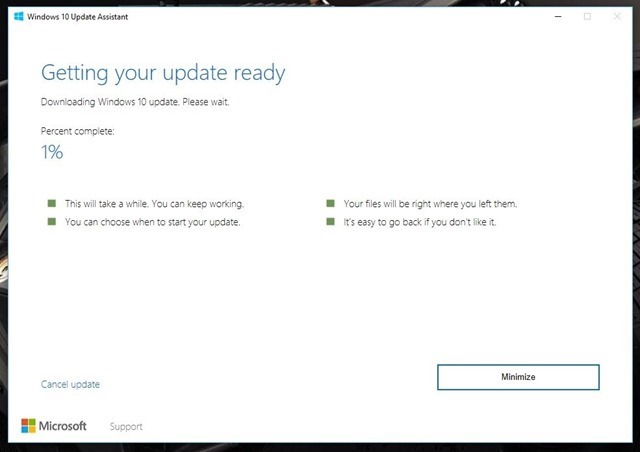 And even with my 150 Mbps connection, it took a good 20 minutes for the update to download on my PC, after which it verified the update, and began installing it. But to be fair, this was an unattended installation, which had timers for rebooting the PC automatically. So, I’m not entirely sure how long it took for the update to complete on my PC, but I’d say it was around 20 minutes. On my laptop which I updated today, the download was much faster. I started the Update at about 12:21 PM today, and it downloaded 50% by 12:27 PM. And it finished downloading completely by 12:33 PM. The installation again, was slow, and took about 30 minute to complete. On my PC, I had no trouble installing the update, and it works fine. On my laptop, though, it failed to boot, and I had to revert to a previous snapshot taken by a thrid party time machine software called RollBack RX Pro. 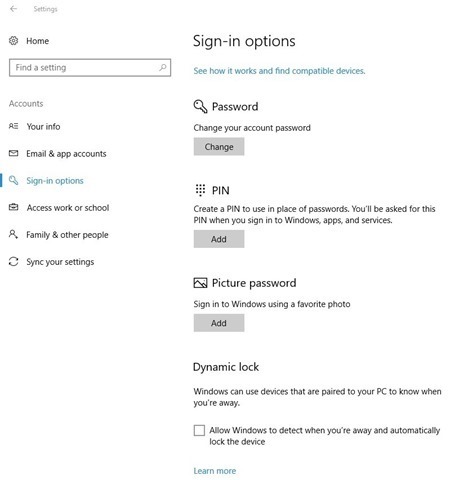 So I’d advise readers to take a full system image using Windows backup, or Macrium or whatever you use before updating to the Creators Update.